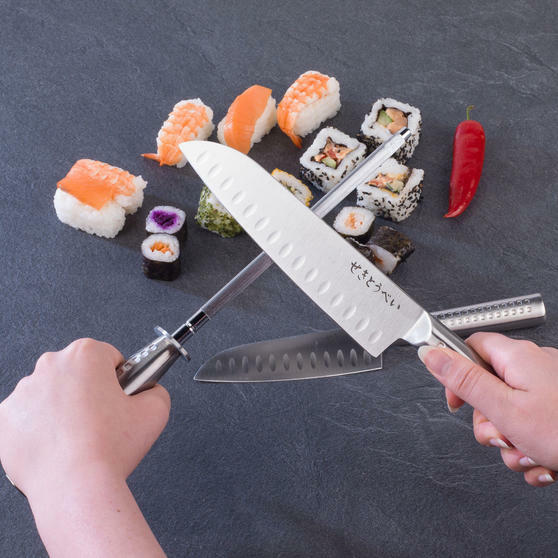 Crafted from high quality stainless steel, this Sekitobei honing steel has been designed to offer effortless kitchen knife maintenance to all, from professional chef to total novice. 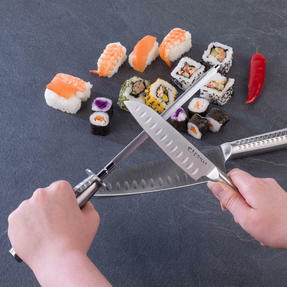 Measuring 20cm and inspired by Japanese food culture, this sharpening steel makes it simple to maintain and improve the cutting performance of your blades, so you can dice, slice and mince your way to culinary success. 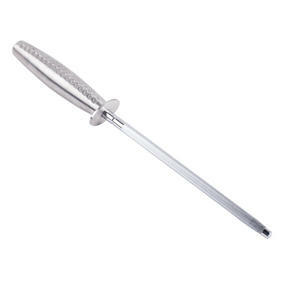 Dishwasher safe for convenience, this honing steel is a great addition to any kitchen tool set. Refresh your kitchen knives and improve the quality of their cut thanks to this high-quality sharpening steel from Sekitobei. 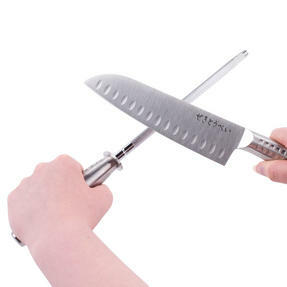 Measuring 20cm, or 7.9”, this honing steel is the perfect way to sharpen your kitchen blades to maintain their cutting performance. 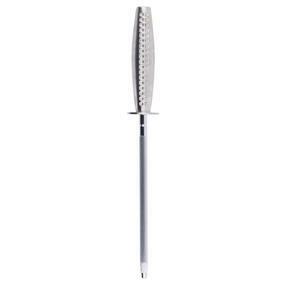 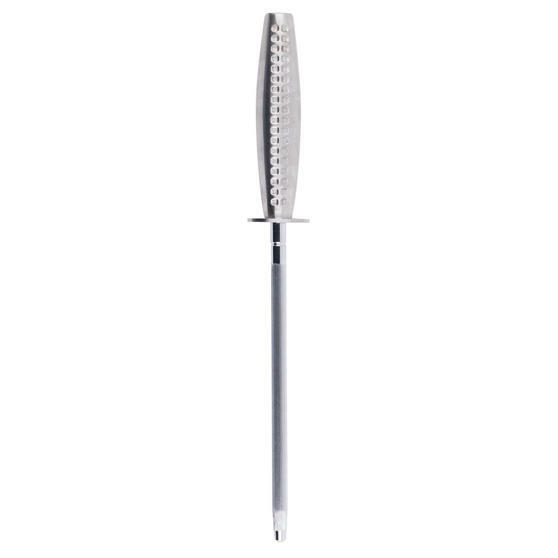 Made from quality stainless steel, this sharpening tool will withstand the demands of a busy kitchen, from casual to professional use. 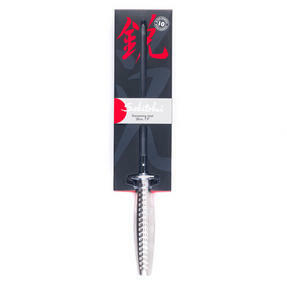 Japanese food culture has helped to shape the unique design of Sekitobei tools for high performance and added longevity. 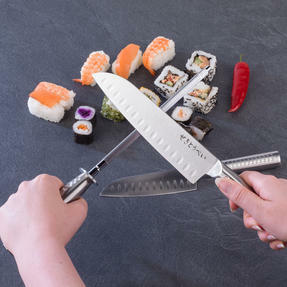 A staple for your kitchen, this honing steel is dishwasher safe or will simply wipe clean, for wonderfully safe and easy cleaning.